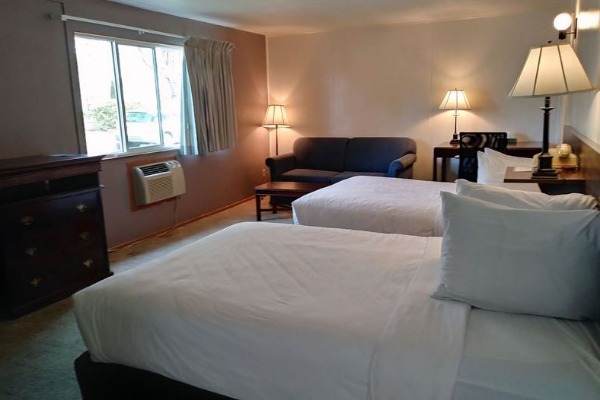 Stay a while at this relaxing extended stay hotel in downtown Corvallis, Oregon. The closest hotel to Oregon State University, University Inn offers spacious rooms, suites and apartments with refrigerators and kitchens, perfect for getaways and families coming for an OSU football game, alumni weekend, or graduation. The hotel is one block from historic downtown, and a short drive to Willamette Valley wine country, golf courses, hiking trails and the stunning waterfalls of western Oregon. Enjoy local cuisine and craft beer at Tommy's 4th Street Bar & Grill, or experience local breweries and tasting rooms. With free Wi-Fi and flexible meeting space, it's easy to gather and connect here.